The other day I was having a conversation with a good friend about how my daughters want everything done for them. I don’t blame them and I don’t blame myself. They are a product of a generation that has pretty much had everything handed to them from their birth. Smartphones, delivery for almost anything and other “easy” methods have made learning even the simplest skills obsolete for most families. The issue is that not knowing certain things will cost you more money than you could ever imagine. That conversation led me to putting together a list of simple skills that will save you money. I don’t mean to sound harsh if I do, but it is quite disheartening to meet adults who are my age – aka somewhere close to 40 – who can not do hardly anything for themselves. I find the whole thing incredibly sad, but, even sadder is that these same people tell me they can’t find ways to save money. When I tell them the best way to save is to live like their grandparents did and learn a couple of new money saving skills, they react one of two ways. Either they react badly or they pick up their feet and start learning. Whether you’re in the group that gets mad or the group that runs out and starts learning, these simple skills that will save you money are a great place to start if you’re trying to find ways to stop living paycheck to paycheck. If you choose to learn these money saving skills, you don’t need to learn them all at once. Choose one or two to work on at a time. Each money saving skill will save you money in one way or the other. One of the biggest wastes of money is eating out. 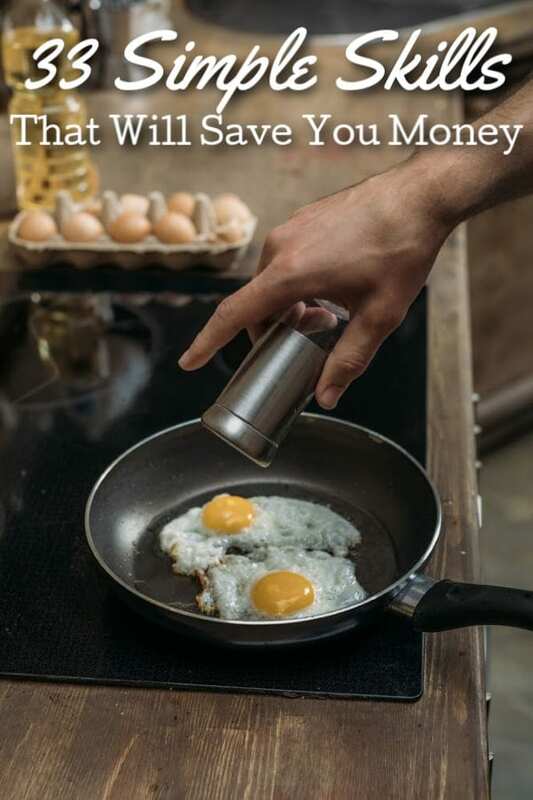 By learning how to cook a simple meal, you will save money from day one. It may take a while to learn how to cook, but you can help yourself by taking an online cooking class to help you learn the basics. Both Udemy and Craftsy offer classes you can take to help. One of the biggest skills that will save you money is learning how to make something yourself. This can include everything from the clothes on your back to the products in your bathroom. The more you can make yourself, the more money you’ll save. When you first start, it is best to start small. We started with this list of 30 things to stop buying and make and went from there. I have no regrets that we took that leap. Paying someone to change your tires; especially in an emergency situation – usually involves a tow and other high fees. Learning how to change a tire is not hard and all and once you purchase the tools such as a lug wrench; your only cost is the new tire. Labor on work you do yourself is free. Ya’ll come on; if you can’t figure out how to wash your own car, you need more help than any frugal living blogger can give you. Pick up a large automobile sponge, a small bucket, some Turtle wax and some car wash soap. Go to town scrubbing your car then give it a good wax. To detail the inside, vacuum it out thoroughly, wash any hard interior surfaces then go over it with a good coating of Armor All. Yes, you will pay for your supplies, but that cost won’t be much more than you would pay someone else to do it. Plus, you will get more than one wash use out of that cost. Sewing is a basic skill that has been lost over the years. It is also a simple money saving skill that we all could use almost weekly if we knew how. Craftsy Sewing Lessons are how I taught myself to sew and I don’t regret it at all. You can also sign up for sewing classes at Udemy if you’d rather use them. It allows me to make use of spare fabric we may have and should I not be able to buy something we need, I can probably make it. You will need a basic sewing machine to learn on, but they are well worth the investment! Along with having a tire changed, if you really want to save money on car repair, picking up a set of jumper cables and learning how to jump a battery will save you money. The thing about money saving skills is that they aren’t always huge things. Small actions add up and not having to pay for a tow when your battery dies will help. Oil changes can be purchased for as little as $20 with a Groupon voucher, but for those times when there are no vouchers available, knowing how to change your own oil is a skill that will save you money. Anti-freeze is another simple money saving skill that is quite easy to learn how to do yourself. Hit Youtube and put in the make and model of your car into search. Add the word anti-freeze and you’re good to go! It’s really super simple and will save you the money of having to pay someone else to do it. A clogged furnace filter is a great way to waste money. It causes your furnace to work over time meaning you use more power to run the unit. To find the size furnace filter you need, simply check the old one. The size will be on the side of the filter. Head to Amazon and you should be able to find the correct size. Once you have it, remove the old one and replace the new one. It really is as simple as that! Food waste is a huge issue in the United States, but learning how to preserve food can help cut down on that. When you reduce waste in the kitchen, you reduce wasted money. You can learn how to can foods to help reduce the amount of wasted meats, fruits and vegetables. Buying a dehydrator is a great way to preserve food as well. This past summer, Steve and I spent 10 days fishing to fill our freezer. What we discovered was that fishing yourself for food is an incredibly simple way to not only feed your family, but also to save some serious cash. I wrote about our 10-day adventure HERE where you can see the cost breakdown. If you’ve never fished before, consider checking out these 41 best products for fishing to help you get started with the equipment you will need. Do you still write checks? You may not, but that doesn’t mean you don’t need to reconcile your checking account. If you aren’t doing so, you run the risk of having charges you did not authorize or forgot about come through. This could cause expensive overdraft fees and more. If you aren’t sure how to balance your checking account, Youtube has plenty of videos teaching you how to do just that. One of the biggest mistakes a family can make and one of the most costly is not having a budget. Taking the time to learn how to create a budget that works is incredibly important and not nearly as hard as you may think. You can’t begin to get your finances on track without one. When you don’t have enough money in your budget, the simplest answer is to learn how to make extra money. 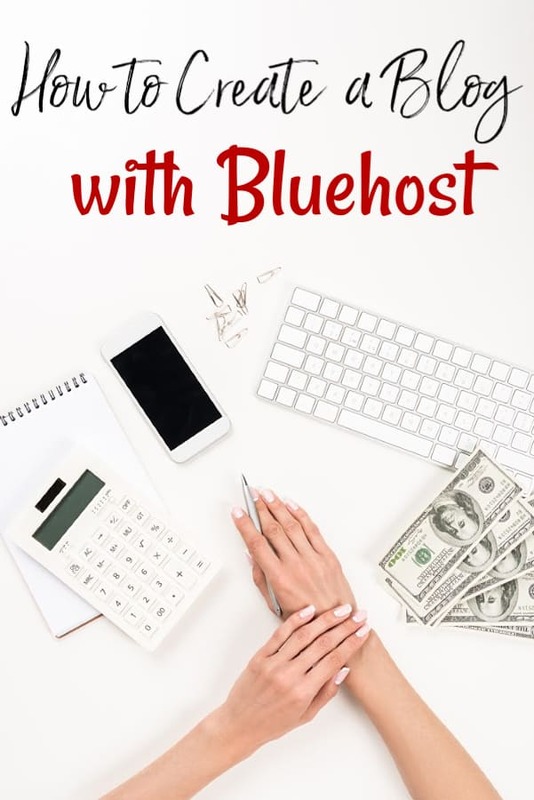 This could be in the form of finding new ways to earn Amazon gift cards or by finding home business ideas to help bring in a second income. In today’s world, the possibilities for finding that extra cash really are kind of endless. Starbucks can be amazing on those groggy mornings, but it can also be a budget buster. Instead, buy a Keurig, a reusable K-cup, and a nice travel mug and build the habit of making your coffee at home. If you’re currently spending even $10.00 a week at Starbucks, that is $40.00 a month you would save. If you must have Starbucks even once a week, consider taking the time to earn free Starbucks gift cards to pay for it. This isn’t the ideal answer since you’re still wasting money, but it is at least better than using cash to pay for it. Haircuts are expensive sometimes, especially for men who usually only need a quick cut and trim. Instead of paying for these simple cuts every 4-6 weeks, buy a pair of hair clippers and cut it yourself. This is especially easy for those that shave their heads or wear simple cuts like a high and tight. There is something therapeutic about kneading a loaf of bread and getting it ready to feed your family. Not only that, but bread is one of the most common grocery purchases each day since almost every household uses it. It is cheaper per loaf to bake yourself though so learning how to bake a loaf of bread is a money saving skill that will save you money. If you don’t mind the kneading by hand, pick up some loaf pans and get baking. If you would rather not get your hands dirty, a good quality bread machine will do the work for you. It may surprise you to find out the number of people who can not understand how to hang clothes on a clothes line. Even line drying one load a week can make a signigicant dent in your electric bills and your laundry costs. If you don’t have a room for an outdoor clothes line, buying a folding clothes drying rack works the same way. Have you ever tossed a pair of jeans due to a busted zipper? Why throw them out if the rest of the jeans are still in good shape? Instead, take a basic sewing class and learn how to repair that busted zipper. You’ll save money even if you have to buy a new zipper. Like fixing a broken zipper, ripped or torn jeans can usually be mended to extend their life. Again, a simple sewing class or book on basic sewing techniques can help you learn how to sew by hand or by sewing machine. Stores and manufacturers would have you believe you need a plethora of expensive cleaning products to clean your home, but the truth is you don’t. In fact, you can clean your entire home with white vinegar, lemon essential oil and baking soda. With just those three ingredients, you can disinfect and clean your entire home the same as you can with something more expensive. Birthday cakes at the store can run you as much as $100+ depending on what you want to order. Instead, learn a simple skill that will save you money and learn how to bake a birthday cake on your own. Even if you use a boxed cake mix, you can take online cake decorating classes to fancy it up and make it perfect for your occasion. When our family orders pizza, we can not do so and feed everyone without spending at least $30.00. If, however, I have the ingredients on hand, I can make twice the pizza for less than that. Pizza is one of the simplest things you can learn to make at home and if you, like us, eat it a lot, you’ll save a pretty significant amount of money by doing so. Investing is a great way to build wealth and build your savings account. It can be hard to get started if you have no clue what you’re doing. For those that want to learn how to invest but aren’t sure where to start, signing up for an Acorns account is a great option. Acorns is a micro-investor that allows you to invest slowly while teaching you the ins and outs you will need to know to really build wealth. If you’re living on a crisis budget with no savings, you will wish you had taken the time to learn how to fund an emergency fund to help cover you. It is easiest to start with $1,000 and expand to a full 3-6 months of expenses as you can. This money saving skill is one of the most important on this list so be sure you take the time to research it. Bartering is something I absolutely love to do and its something I’m quite good at doing. In fact, I completed a very nice barter this morning! If you’re new to learning how to barter, I suggest you do some research into how trading is best done. It can help you save quite a bit of money. The trade that I did recently will save me thousands over the course of its lifetime! Did you know you can negotiate some of your bills? Things such as your phone service, cable and even your electric and natural gas rates in some states are usually up for negotiation. Call your company and very politely tell them you would like a lower rate. If they are open to negotiation, you will know pretty quickly. Haggling is another great skill that saves you money and one I believe everyone should know how to do properly. It can be helpful at yard sales, second hand stores or when buying things online. Being respectful and not offering a price you know is too low are the first steps to being successful with it. I know that map reading has kind of gone the way of the dodo bird, but what happens when you’re in a location with no cell service and no GPS service? You find a phone and call roadside assistance, right? A lot of roadside assistance companies charge for each rescue. If you’re using one, you could have saved yourself the money simply by picking up a road atlas and knowing how to read a map. I love to upcycle and there’s a good reason for that. It helps me save so much money! I have found new ways to use old sheets, new ways to use empty milk jugs, new uses for empty bottles, new ways to use coffee cups, uses for old towels and even new ways to use clean cat litter or ways to use newspaper. I take old suitcases and make side tables with them. I will take a piece of clothing and turn it into a reusable shopping bag, purse or even make yarn from it. If I can upcycle it, I will. The list of ways to reuse items to save money is really kind of endless so it is a money saving skill that is very worth learning. Upcycling an item keeps you from having to purchase something else you may need. Instead of paying for it, you quite literally make it. Menu planning is a sure fire way to save money on groceries without a whole lot of work. It keeps you from buying groceries you don’t need. It keeps you from being tempted to eat out often. It also helps you reduce food waste. The best part about menu planning is that you can totally customize it to the way you want to do it. Plan for seven days a week and three meals a day or plan for five days a week and one meal a day. No matter how you do it; it works! Knowing how to freezer cook goes along with learning how to menu plan. Freezer cooking means you prepare your meal ahead of time. You’ll want to make sure you have the best products for freezer cooking before you start and that you’re following an organized schedule. Otherwise, you may end up wasting more than you cook. Gardening is a super way to feed your family healthy and nutritious food for far cheaper than you can buy fresh produce at the store. This is especially true if you purchase organic foods. Learning how to start a garden on a budget, however, can save you hundreds over the course of a year once your garden starts producing. Plus, you will feel fantastic when you see your family quite literally enjoying the fruits of your labor. Thank you. This was a great list and was helpful and informative. These skills are helpful in saving money. They also make a skillful and better human being.